As I put my gardens to bed for the winter, I like to tuck them in with a thick leaf mold blanket. Leaf mold is basically a compost made entirely of broken down leaves. One difference between leaf mold and compost is the fact that compost involves bacterial breakdown and leaf mold involves fungal breakdown. Where compost is hot and breaks down quickly, leaf mold is cool, slow to breakdown and well worth the wait. 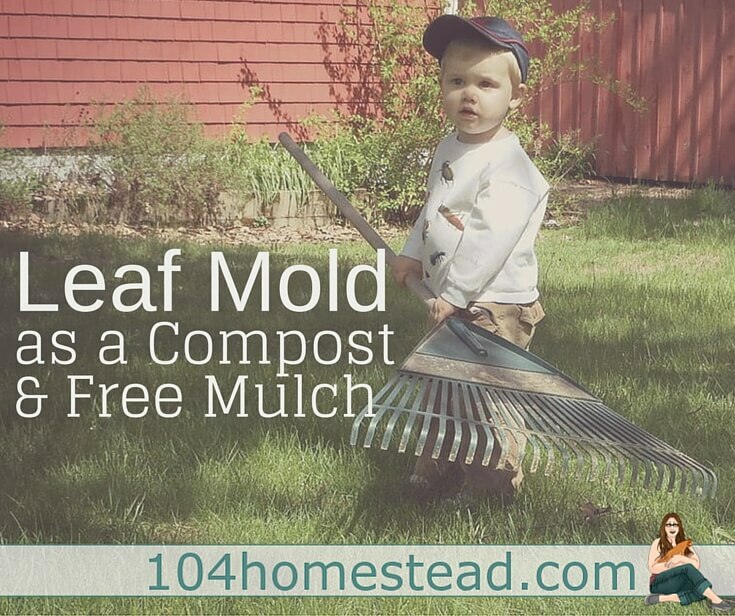 Leaf mold will perform in your garden as a mulch, compost and soil conditioner. If you have ever had your soil tested, I am sure the results indicated you need more organic matter. It says that for all of us. Think about what the ground is like in a deep forest where nature adds a nice layer of leaf mold every autumn. The ground soft and airy. It has an amazing richness to it. It’s a gorgeous dark brown. 99.9% of us do not have soil like that. 99.8% of us never will, but using leaf mold will get us a bit closer. As I said before, making leaf mold isn’t a quick process. It takes time, but the results are worth the wait. If you didn’t start making leaf mold last year, you won’t be using it on your beds this year, but you can get ready for next year. And did I mention it’s free? 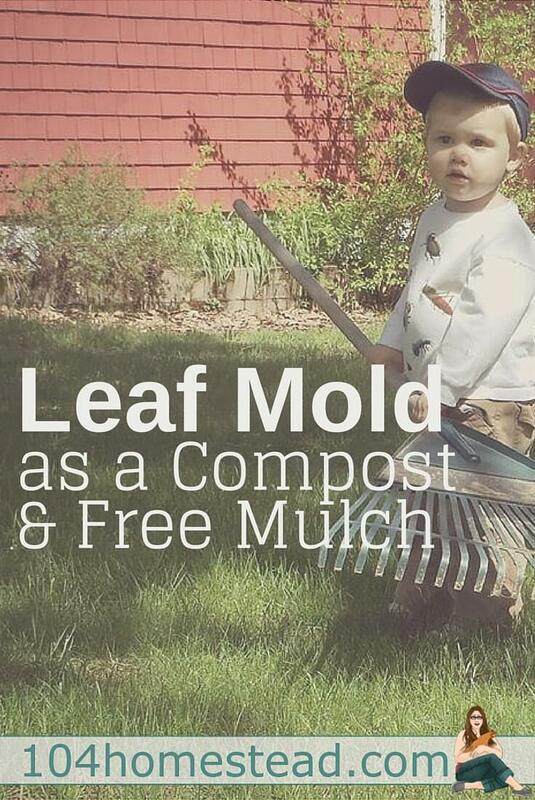 A little time and a lot of leaves are all you really need to make this free soil enhancement. This video from Fine Gardening will show you how simple it is to get started. If aesthetics are important to you and you don’t want huge mounds of leaves all over your yard, create “bins” of field fencing. A 3-bin system works well for me. I always have one I’m using, one that’s breaking down and one to put fresh leaves in. A word of caution in your leaf collecting: People are more than happy to give away their leaves. Some may actually pay for you to rake them and take them away. Be sure that the source of the leaves does not use pesticides or fertilizers on their property. Walnut, eucalyptus and camphor laurel leaves may inhibit plant growth. These leaves (if you have a lot of them) should be composted instead of used in a leaf mold. I use leaf mold from time to time in my vegetable garden, both as an amendment and as a mulch, but I’m excited to share where I use it that it shines: my perennial beds. I find it so hard to amend the soil in my perennial beds. So many amendments need to be worked into the soil, but you can’t really dig in around tight clusters of perennials. I also have bulbs scattered throughout all of my perennial beds. These bulbs are the first sign the spring is here when they peek up through the snow. I would hate to unknowingly damage them. 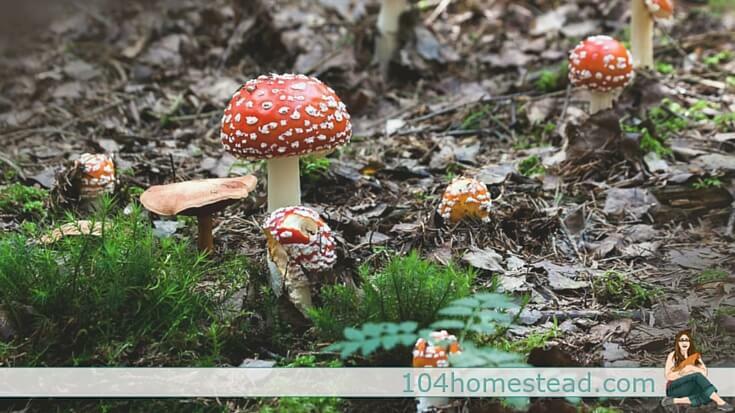 Thanks to naturally intensive plantings and yearly additions of organic mulch, the forest floor develop incredibly fertile soil. As the growing season is coming to a close, I head out to the gardens with clippers in hand. Some perennials perform best if cut to the ground, other need a light pruning at the end of the season, and some are fine just as they are. I go through and do all my pruning at one time. When I’m finished, I head out and grab a couple of buckets of leaf mold. I like to do a nice 2-3″ layer along the entire bed. The self-seeded annuals and the bulbs can push right through in the spring, but it keeps the soil rich. If I have a tender plant (like my coleus that shouldn’t over-winter in my area), I’ll heap leaf mold around it about 6″ thick. When temperatures warm in the spring I’ll come out and pull some of it off. You are going to love the difference some leaves can make. Want to learn more about gardening and how to care for your soil? You will love The Shoestring Gardener, a book included in The Healthy Living Bundle. The bundle also includes a free Craftsy Online Class. I took one of their gardening classes and was really impressed. manure… And they provide the perfect nutrition for beneficial microbes. I am in a master gardening program and was told that leaf compost increases the pH of your soil. So be sure to add in other non-leaf compost to your gardening areas. I hoard leaves for the composter! One man’s trash is another man’s treasure. You should see me hoarding the neighbor’s pumpkins after Halloween so I can give them to my chickens. I’ve gotten over being bashful about asking. I love the leaf drop. I use leaves from our five acres for chicken bedding all year long, vermicompost bedding, mulch on the garden beds, and I make huge piles right at the edge of our woods just like you describe to have them break down over the year. I then use those piles when helping to establish new trees and bushes in my up and coming food forest. This year I’m also going to corral in a large area with chicken wire to hold leaves to kill off the grass in preparation for seeding a huge wildflower patch in the spring for bee forage. Mike, you are a man after my own heart. I love the plans and the desire to make the most out of resources available.